In Singapore, weather may be fairly harsh! Humid and hot throughout the day, therefore, Singapore is looking for ways and means to cool down the households. Alongside getting air conditional units, window blinds and shades are also sought after. 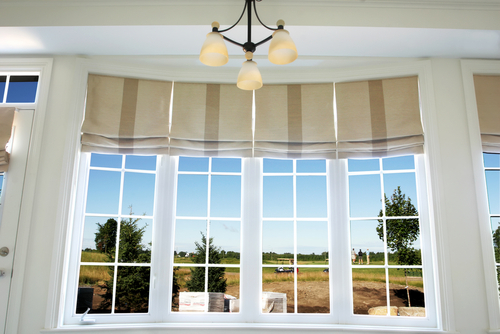 However, whether to acquire ready-made blinds or shades is always a debatable issue. There are many styles, materials and sizes of blinds like roller blinds, which are easy to cut into the desired size. However, other designs such as roman or timber blinds will be hard to cut in to shape. Therefore, measured blinds in these designs would be easier than you attempting to cut after you buy a ready-made blind. Tailored made window blinds and shades have the advantage in getting your shade prepared to your perfect width and length. Many Singaporeans prefer getting their floor length shades drop to about 1.5 inch short from their floors in order to have better decoration views. In spite of any way you have liked, tailored made window shades would be an ideal option for you as contrasted to ready-made shades. Overhangs and window blinds are believed to be so expensive. This has caused the belief that the rich are the only ones who are capable of affording quality window blinds and shades. This is totally untrue and false. Blinds and shades are very inexpensive and affordable. Any person with a decent source of income can easily purchase them. Even though the quality of the shades purchased depends on the cost, you can discover that they are very cheap in some stores as compared to others. The other myth is that blinds and shades do not attach any value to buildings or homes. This myth makes shades seem like merely a misuse of resources. Obviously, this is not true. Window blinds and shades add much value to your building and home. The foremost thing they add is the home’s beauty. A building with blinds will constantly look pretty and very beautiful. Furthermore, they are very value because they help in providing shades and manage the amount of sun-rays entering into your home. High quality, ready-made Window blinds and shades are readily available in the various shade and blind stores that are evenly distributed within Singapore. This implies that this myth is totally untrue. These blinds and shades are presented in different prices depending on various aspects like quality of material, size and style, to mention but a few. Nowadays, people want to make use of products that are Eco-friendly. There is a misconception that all the window blinds and shades in Singapore City are not environmental friendly. In fact, this is an extremely huge myth because they as very Eco-friendly. When you utilize them, they can assist you in regulating temperatures and sunlight. This is good because you do not have to exploit air conditioners and several other things like thermostats. This is an excellent way of environmental conservation because you exploit less fuel and electricity if you are making use of a generator. In Singapore individuals will say to you that window blinds and shades have a single use which is offering shade only. This might not be far away from the reality. An office or a home with shades and blinds is completely diverse from one without. The shades and blinds add a tranquil feel to your household and they also make your home more attractive. In addition, they can be used for dust trapping and making your home air much safer and cleaner. This myth is extremely misleading. It gives Singaporeans the perception that there are just a few window blinds and shades designs. The distinctions in the designs, types and even fabrics of shades and blinds are relatively large. There are so many blind variations that may be found in the city of Singapore, which will fit all the different preferences you might have. I decorated my room with windows blinds and I guarantee that at least integrated window blinds are not expensive.